One of the most wonderful and least appreciated things about computers is diversity of devices. You're probably interacting with your computer with a keyboard and mouse. But in the last few years, you may have added touch and, to a limited extent, voice. The photo above is of my desk. Yes, it's messy. On it are the things I use to work with my computer. I use these nearly every day and at least every week or they wouldn't last on my desk. I think we all should consider our workflows and consider what devices that aren't a keyboard and mouse that might be better suited for the tasks we perform every day. I initially gave this product a 10 for concept and a 0 for execution. I'll give it a 3 now...but it's getting better. It's still not well suited for gross motions, but for browsing and scrolling it's at least becoming useful. I keep it on all the time and since I haven't got a touchscreen on my desktop machine (yet) I use it for scrolling while reading and leaning back. It has huge potential and I'm impressed with how often the software updates itself. I'm using the Touchless for Windows app. The concept is so promising...wave your hands and your computer reacts. I still don't suggest that the Leap Motion is a consumer quality device, but I do use it weekly and turn to its promise often. Tablets are the gold standard for interacting with Adobe products like Illustrator and Photoshop. I learned Photoshop on a Tablet many years ago and I still prefer using one today. 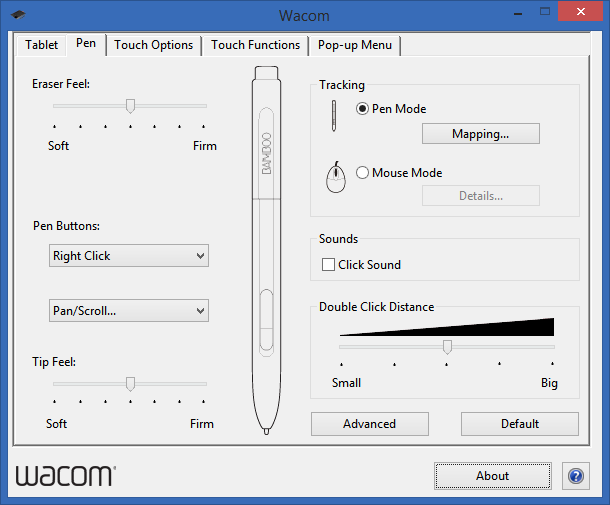 The Wacom Bamboo also has touch support which is a bonus, although I use my Logitech N650 Touchpad as a trackpad as it's more sensitive (to touch). If you're trying to draw or paint without a stylus like a Wacom, you're truly missing out. They are surprisingly affordable, too. My buddy at Channel 9 Larry Larsen turned me on to the ShuttlePRO for video editing. I don't know what I did without it. It's got program-sensitive programmable keys. That means their function changes depending on what's running. I can mark a key as "Split" or "Play" but the ShuttlePro software will automatically use the right hotkey depending on if I'm using Audition or Premiere. Some nice gent even made settings for Camtasia Studio and the ShuttlePro v2. If you do screencasts or video editing like I do, a shuttle is a must. You can get a Logitech T650 Touchpad for less then $35 if you look around. It's a large, gorgeous class touch area that's also wireless. If you have Logitech products already you can use the Unifying Receiver you may already have. I have as USB hub and it works just fine. I use it to two-finger scroll, pinch to zoom, and all the things that MacBook touchpad folks take for granted. You can also use it with Windows 8 to "swipe in" and task switch. I move between my mouse and this touch pad to reduce repetition and wrist strain with the mouse, but also sometimes just because I'm in the mood. It's a great Trackpad/Touchpad that can ease the transition if you have trouble moving from a laptop and a desktop. I adore the Logitech BCC950 Conference Cam so much that I've written software to remotely control its motorized Pan-Tilt-Zoom functionality and use it as an Auto Answer Kiosk. Not only is it a great web cam that I use every day, but it's also a fantastic speaker phone for conferences. 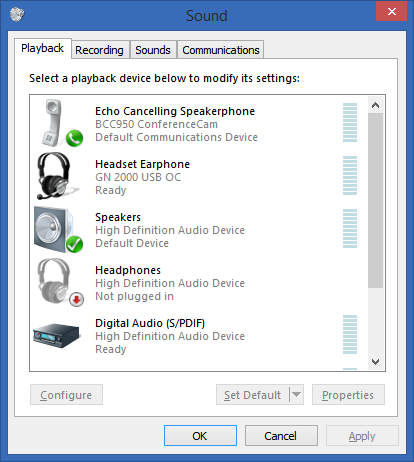 It shows up as just another audio device that you can set as the default for communication but not your default speaker. This means Lync and Skype calls come from this device, but your regular computer audio doesn't. Sound quality is killer, confirmed by everyone I've talked to with it. Aside: There's so much untapped usefulness in just a webcam but most programs just don't use it. Have you seen the Windows 8 "Food and Drink" app? You likely already have this app. It has a Hands-Free mode for cooking. You know when you're using a tablet to show a recipe? It uses just the data from your webcam to see your hand wave to move to the next page. Very cool. The Kinect SDK was updated last year with support for "Near Mode" which is basically "sitting at your desk mode." This update made programming to the Kinect for Windows a LOT more useful for the desktop. Writing apps is fairly easy, like this example where you can control PowerPoint with your hands. With apps like KinEmote you can use the Kinect to control your XBMC media installation and lots more. Another little known fact is that the Kinect on a PC has a very nice quality Array Microphone that can also be used for things like Windows Speech Recognition or Dragon Naturally Speaking. There's such a huge diversity of ways to interact with computers and it's truly just starting. In my lifetime I'm sure computers will be able to detect (guess) if I'm sad or happy, notice my health status, great me when I walk up, and so much more. What devices do YOU have plugged into your computer right now? Sponsor: Big thanks to Red Gate for sponsoring the blog this week! Easy release management - Deploy your .NET apps, services and SQL Server databases in a single, repeatable process with Red Gate’s Deployment Manager. There’s a free Starter edition, so get started now! Disclaimer: My Amazon links are affiliate links and that the resulting few bucks buys me gadgets and tacos. Mostly tacos. How is the wacom compared to the surface pro. Wouldnt the surface pro be better for drawing since you can since you draw directly on the screen? On the sculpt ergo keyboard I wish they had put the home/end key just above the arrow keys, helps when coding. Bought my first Mac when the new retina Macbook Pros came out. I'd heard that it was much better than PC manufacturers in regards to trackpads. Definitely an improvement over XPS 15 and the few others I've used. Can't see how anyone can take it for granted. I hated using safari on PC and personally ranked it 4th of the big 4 browsers, yet on Mac I can't bring myself to use anything else. Side note, how is it that Microsoft gets hit with an antitrust suit and Apple isn't? While Microsoft never featured Netscape or Firefox or any other browser prominently, Apple doesn't either and in iOS you couldn't even get an okay browser other than safari for a long time. In fact, aren't other browsers on iOS forced to use an older version of WebKit? Uh, where's the Xbox One? Most recently I got a very cheap headset, and have been using the new Chrome desktop app to search Google while coding. I keep google.com open in a Chrome window, and do my quick googling via voice rather than typing. It saves me a second or two per query and I keep staring at my code while I search which I find helps me keep my train of thought. Have I mentioned I love you lately? What great stuff, per usual. 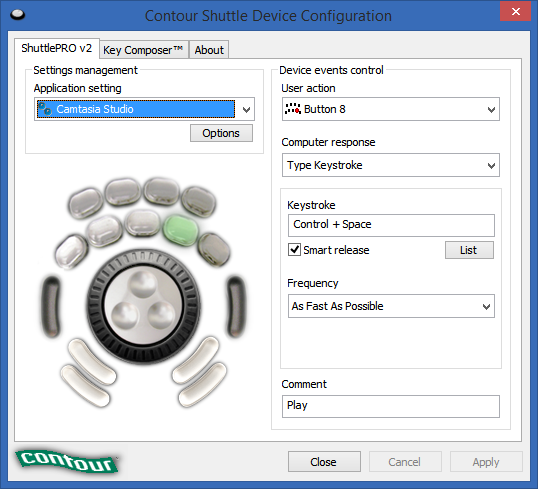 I have the Shuttle Pro and I use it for Visual Studio as well as other programs and it works very well. (I have the jog dial programmed for scrolling through large documents). which I also use (I have the shuttlepro at home and the G13 at work). Both allow you to record keystrokes, macros etch and are very useful - I have a key assigned to outlining collapse and another to outlining expand and you wouldn't believe how much those single key bindings are used once you set them up! So, yes - I'm a fan of both for Visual Studio. Not one. On the couch, using the bare laptop. When it's docked, I have a tablet that I use with Illustrator, and a MS arc mouse (the rubbery one that snaps into a flat shape when putting it away). Not messy, more like full. I also have two printers connecting directly to the laptop one for scanning and color printing (officejet) and the other for low cost heavy duty printing (laserjet multipage proposals and contracts). My monster laptop (custom 17", 16gb ram, 3rd gen i7) has a trackpad with software that recognises the WIndows 8 regions though I realise a LARGE wireless trackpad would be faster. I am taking to carrying another wireless keyboard and mouse in my backpack lately because more and more I have to actually code on site as opposed to merely giving demos and doing product updates. Given the cost of flatscreen TVs I might add a TV as my third monitor and use the HDMI if it allows both VGA out and HDMI at the same time. "In my lifetime I'm sure computers will be able to detect (guess) if I'm sad or happy, notice my health status, great me when I walk up, and so much more." Sounds a plug for Kinect 2 for PC. who wouldn't want a computer telling you you're great when you walk up! Although every time I go to get a cup of coffee and having my laptop tell me "Hi glad your back!" would drive me crazy..what's next sliding doors with personalities...? Scott, any additional info on how you use the Oculus Rift "at least every week"? @Robbert. What's next? How about the computer making the cup of coffee for you, before you actually realised you wanted one! An Artificial intelligence is started already, so many devices which recognize all our bio parts through biometrics. 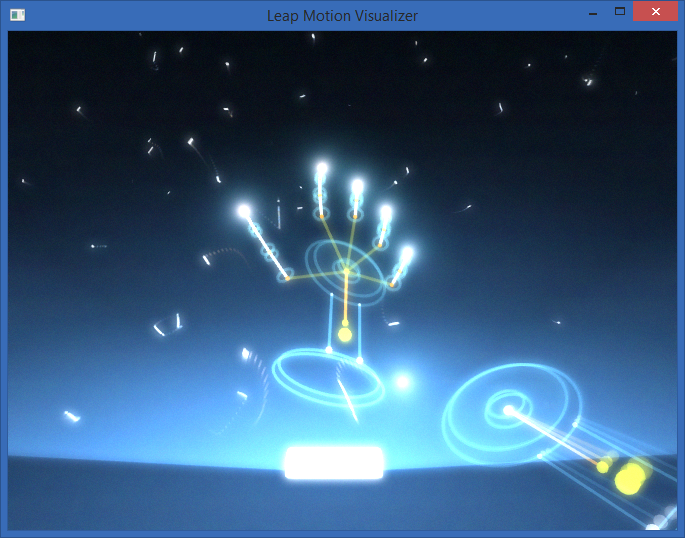 Yes, Leap Motion is really best for the security purpose. @Scott to make in real this device i think huge database is required and there are so many organization working to create this database. I have nothing connected to my computer right now. And that is beautiful in its own way as well. Have you tried a 3D mouse yet? Not one. On the couch, using the bare laptop. I also similarly have a lot because I like NUI and interface device. It is difficult for me though I want to do out a desk more. PerC of Intel is also interesting though Leap and Kinect are good. PerC is a depth sensor that does the distance between Leap and Kinect in the sense.